With the majority of the younger generation now priced completely out of the housing market, the dream of owning your own home has probably slipped off your list of priorities. And who can blame you? The median price of a house in Sydney is now over $1 million and the minimum income needed to afford the mortgage repayments on a unit sits at $154,482. Quite frankly, it’s freaking ridiculous. So what are the alternatives? Renting is the first to mind and probably the option that most of us can readily afford, short of living with your folks until they kick you out. But Sydney company Homeful has other ideas, offering the cutest in tiny homes at a fraction of the cost of a standard dwelling. Love the decluttering revolution? A ‘tiny house’ could be for you! There are similar service like Fred’s Tiny Houses that clock the costs of these hobbit-homes at anywhere from $24,600 to $101,500 depending on size and options. But where Homeful come out on top over old mate Fred is location; they’ll help you design it, build it and find somewhere to put it in 90 days. Not a bad turnaround considering they offer their services Australia-wide. 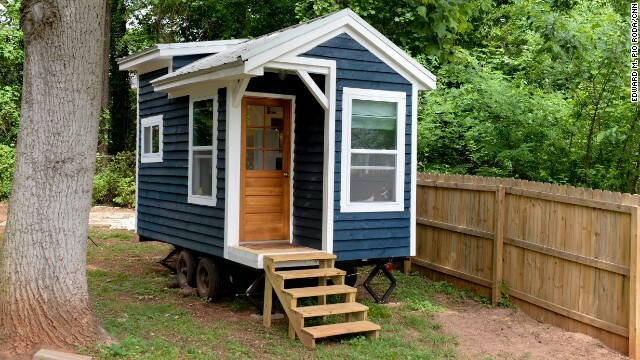 Whether the experts are tiny people or just regular sized people that specialise in tiny houses is unclear, but either way, it’s a pretty great alternative to a lifetime of debt. If you’d rather stick to a normal sized dwelling, you can check out what your mortgage repayments could be with the calculator below.